ARCOTEC S.A is a major Haitian builder that executes building- and construction-related projects for businesses, organizations, government agencies, other builders and residential customers. 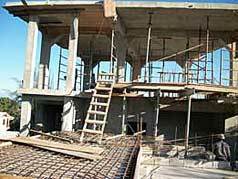 Over the decades, ARCOTEC S.A has learned from collaborative partnerships with experienced international builders. Today, ARCOTEC S.A is proud to use exclusively locally-sourced expertise to construct attractive, stable buildings and other types of civil-works projects that owners and users can trust. Gregory J. Figaro is CEO of ARCOTEC S.A. In this capacity, he provides strategic direction for ARCOTEC’s rapid growth and chairs the executive board. His day-to-day responsibilities include overseeing business development and marketing, project management, procurement, human resources and financial planning. He is also in charge of building and expanding ARCOTEC’s relationships with key international strategic partners, including major engineer-architect firms, general contractors and project managers. Gregory Figaro holds a bachelor's degree in business administration with a concentration in entrepreneurship and innovation, small- and medium-enterprise management, and international business from Northeastern University, Boston. He is a member of the American Chamber of Commerce in Haiti and the Project Management Institute. Heineken was created in 1864 and has grown into the most extensively international brewer in the world with a presence in over seventy countries. It is number one in Europe and number two in the world by consolidated volume. The company also distributes a wide range of imported liquors and wines. 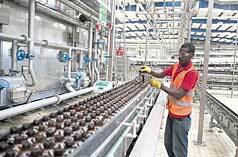 It employs twelve hundred direct employees of whom 99 percent are Haitian. 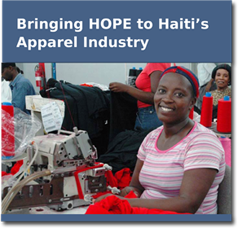 Fifty thousand Haitian families are involved in the sale and distribution of BRANA products on a daily basis. Eugene Ubalijoro is managing director of Heineken Caribbean & Americas Export. He has had a very successful career with Heineken since joining in 1990 as the first African international trainee. From 1992 until 1995 he was commercial manager for Bralirwa. In 1995, he became Heineken USA’s first regional marketing manager for the Southeast Region, driving the region’s first ethnic consumer marketing initiatives. After working as a consultant in corporate marketing in Amsterdam (1999-2003), he was commercial manager for sub-Saharan Africa before moving to La Réunion. He holds a bachelor’s degree in business administration from Georgetown University and an MBA from Université de Sherbrooke, Canada. Since 1993, he has led forty delegations of business leaders from Haiti on fact-finding visits to Washington D.C.
From 2002 to 2004, he provided consulting services to l’ASSOCIATION DES INDUSTRIES D’HAITI (ADIH) in drafting and promoting in Washington the trade bill (Hero) which would have provided benefits to Haiti similar to the ones that the African countries were receiving with the African Growth Opportunity Act (AGOA). He was a leading advocate for the enactment of the HOPE legislation in 2006, the HOPE II legislation in 2008 and the HELP legislation in 2010, which provided favorable trade benefits to Haiti which is allowing the then-dormant garment sector to become one of the engines of job creations in this country today. In April 2006, May 2008 and February 2009 he coordinated and participated in the three visits in Washington D.C of President René Préval. From July 2007 to September 2013 he has been a consultant for the CTMO-HOPE commission, a tripartite institution led by the government, with representatives of business associations and labor organizations created to help improve and implement the various HOPE legislative initiatives. Lionel Delatour is a graduate of Georgetown University, School of Foreign Service and has an MPA from Harvard University's Kennedy School of Government. He is a founding member of le Centre pour la Libre Entreprise et la Démocratie (CLED) and the Haiti Democracy Project.